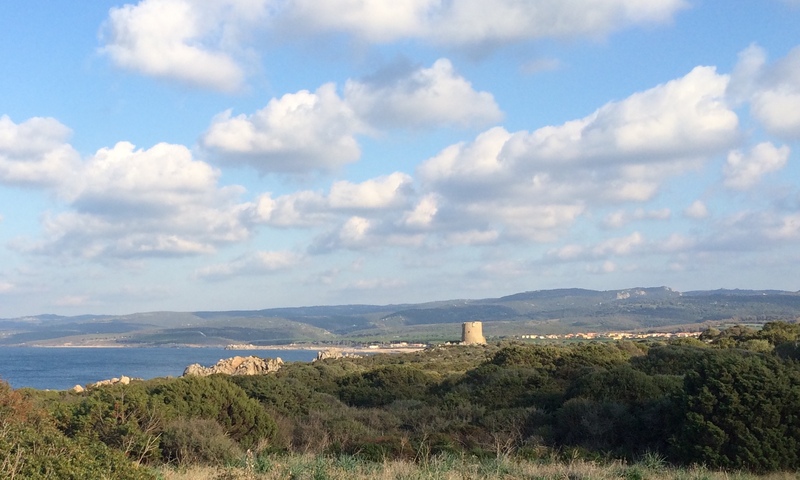 Traditional Sardinian handwoven textiles are uniquely beautiful in their design and creation. The artistry and the intrinsic quality of the handmade are apparent. Your appreciation grows when you understand how the weavings are created. 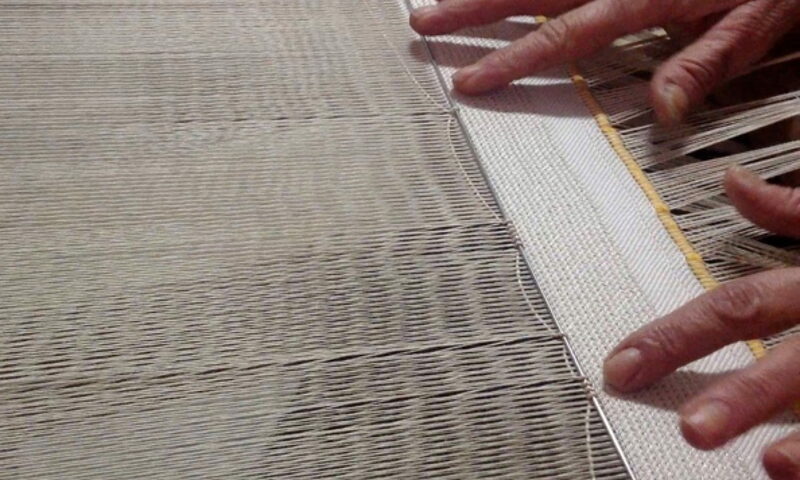 Whether it’s done in the home or studio, handweaving is demanding and time-intensive. It requires patience, engineering skill, and physical strength. 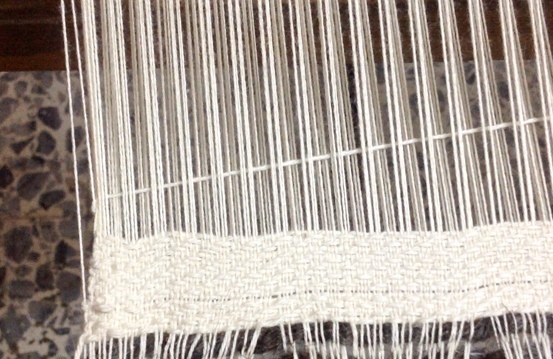 Weaving involves many steps, and progress is slow. 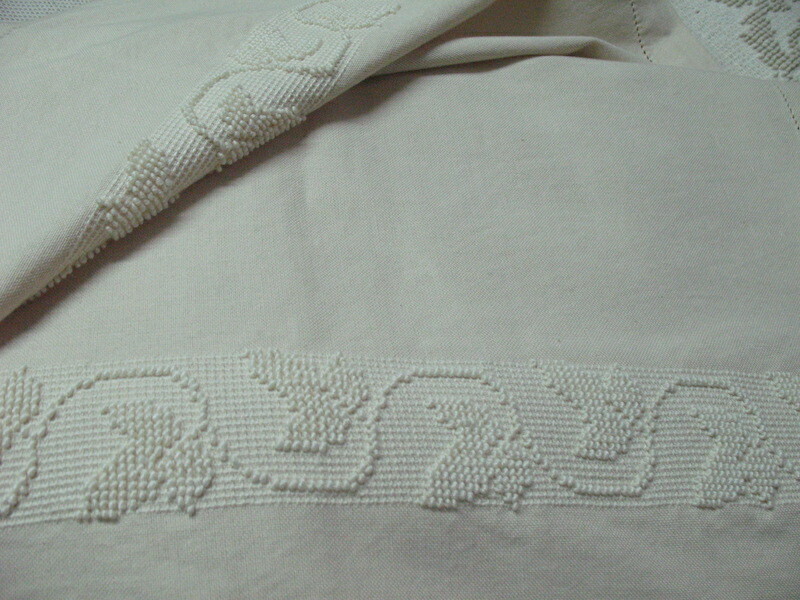 The weavings are made with care, attention, and respect for the old ways. 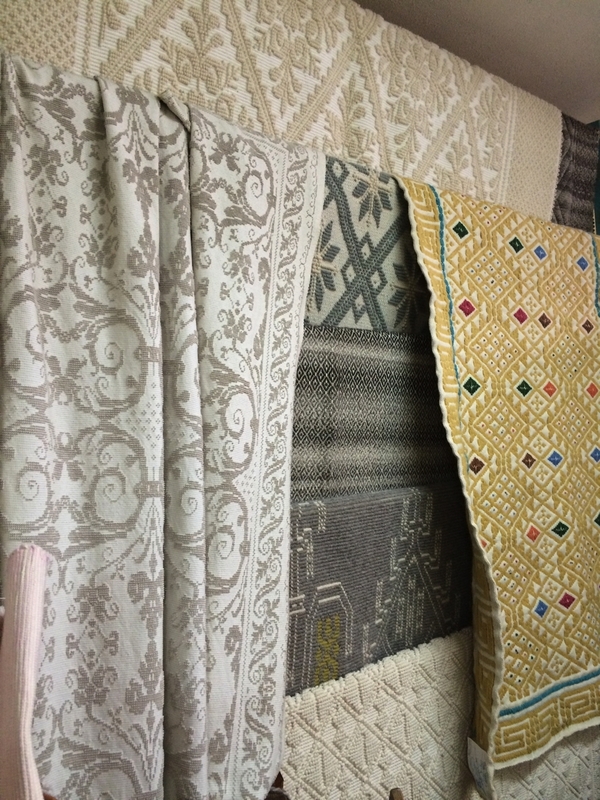 The results — rugs, tablecloths, bedspreads, pillow shams, bags, and more — are unparalleled. 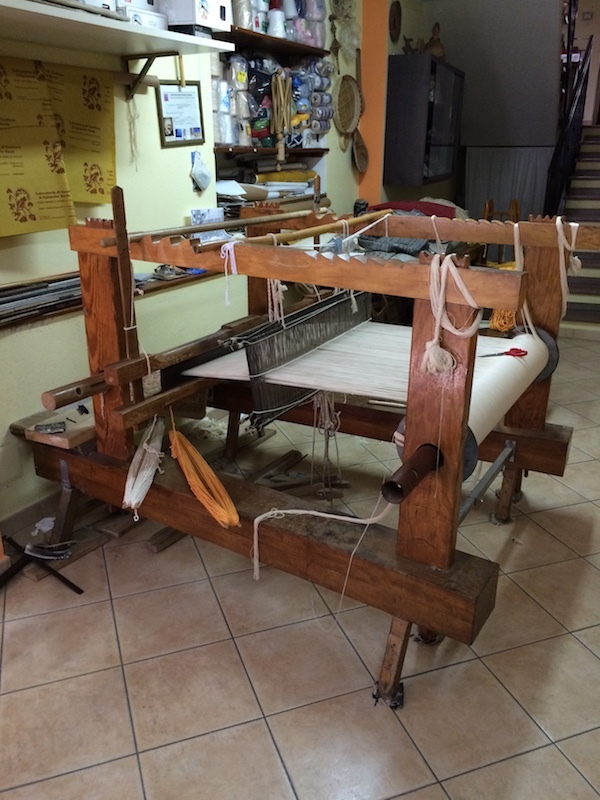 Traditional Sardinian weavings are patterned with small raised bumps of thread, called pibiones. 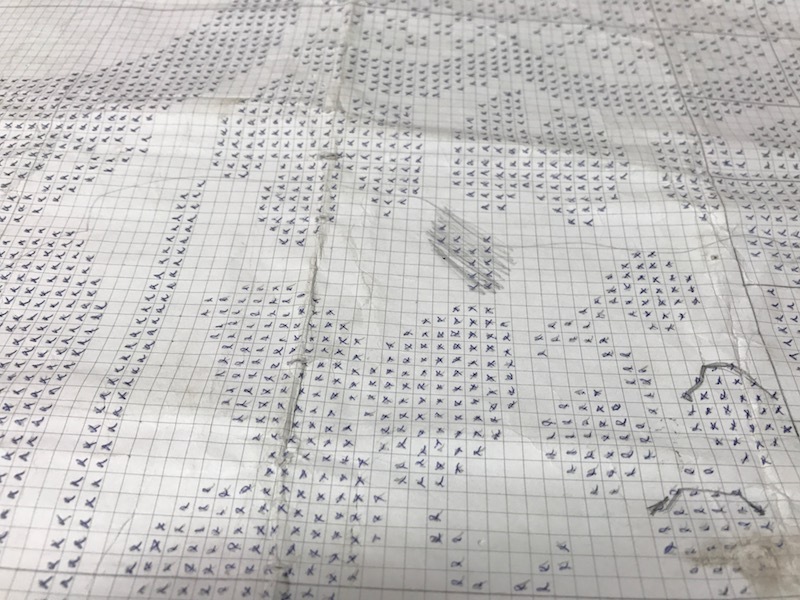 Each pibione must be counted and wound by hand, one pibione at a time, one row at a time, matched against patterns marked by hand on graph paper. In addition to the raised pattern of the pibiones, the base fibers (warp) of the textile create a second and complementary pattern. A weaver making a bedspread on a medium-sized loom counts and hand-threads 4800 warp threads, tens of thousands of pibiones, and hundreds of thousands of warp and weft fiber passages — all counted and tracked by hand, eye, and graph paper. If a weaver looses count of the pibiones or the warp fibers, she must recount from the last known position. And before even starting the actual weaving process, the weaver must set up (warp) the loom, a delicate and precise but demanding process. 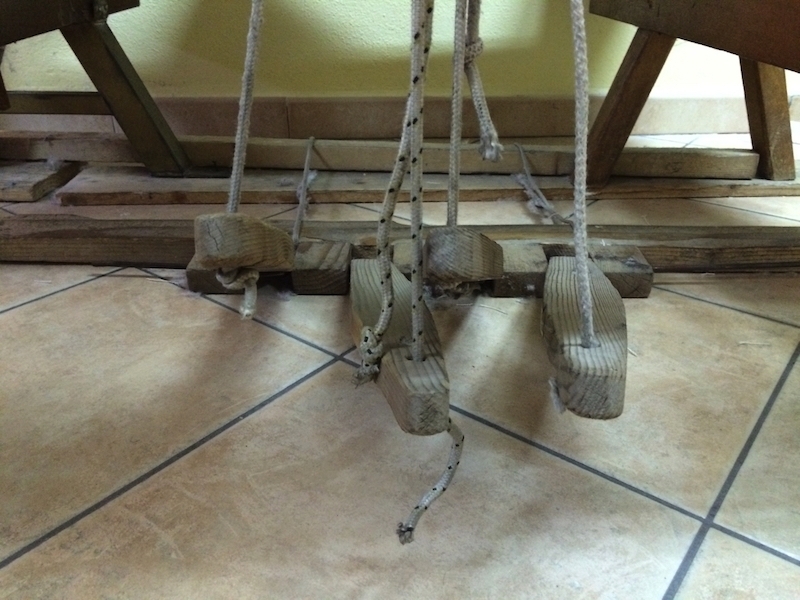 Looms operate on a system of levers and pulleys which must be perfectly assembled, balanced, and aligned. 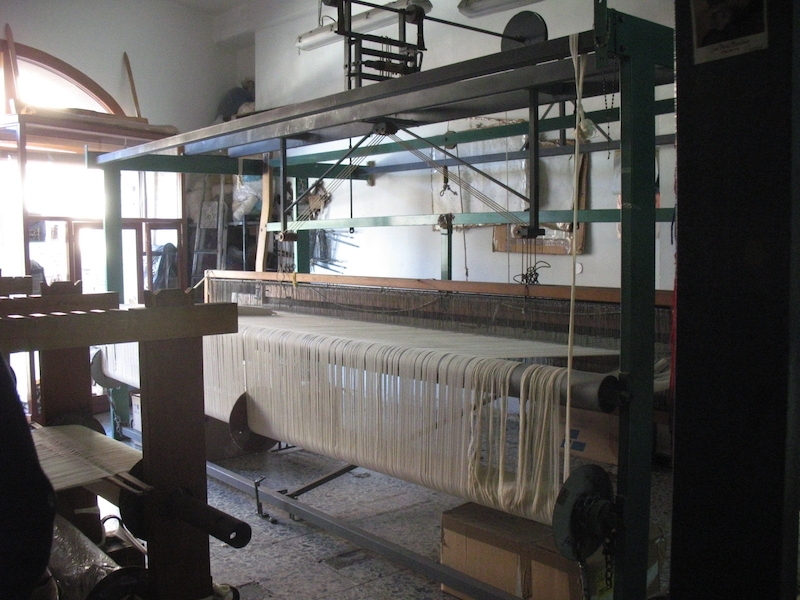 A weaving can be wrecked by one thread out of sequence, a warp that is a sixteenth of an inch off level, or pulleys that are a tad too tight or too loose. 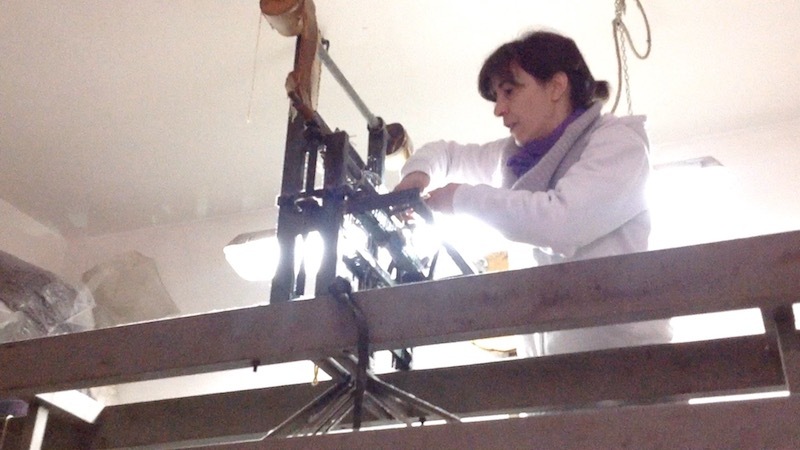 It’s not uncommon for a weaver to climb on or crouch under looms to tighten, loosen, balance, and align pulleys, levers, and other pieces of the loom. Weavers don’t always sit when doing the actual weaving, and even when they do, moving the beater bar to finish each row of the weaving takes a good bit of strength. 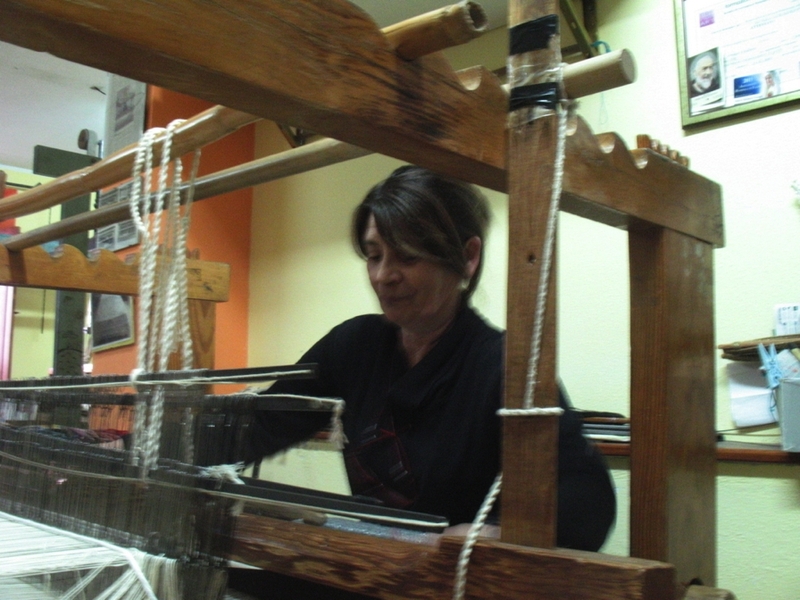 Larger looms require two, three, or four standing people to pull the beater bar after each row of weaving is completed. 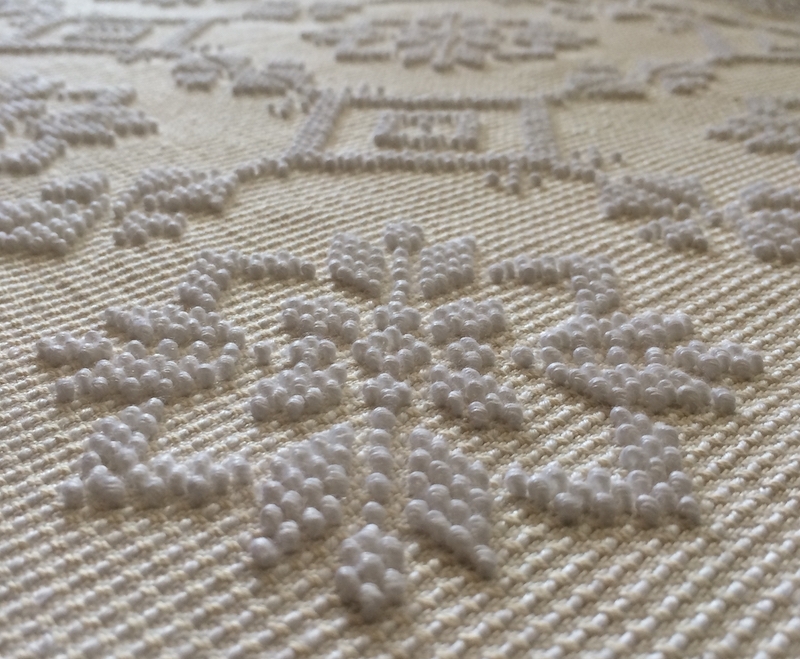 When you experience the process, grasp the time it takes to weave something by hand, and understand the mental skill and the physical work involved, you appreciate more fully the beauty and detail in each row of an expertly handcrafted textile. The artistry becomes more perceptible, more personal. You realize the finished textile you have in your hands is not just an object, but a creation born of the skill, concentration, and love of the weaver.